2014 Summer Session: Intro to LGBTQ Literature at College of Alameda, June 16 – July 24. 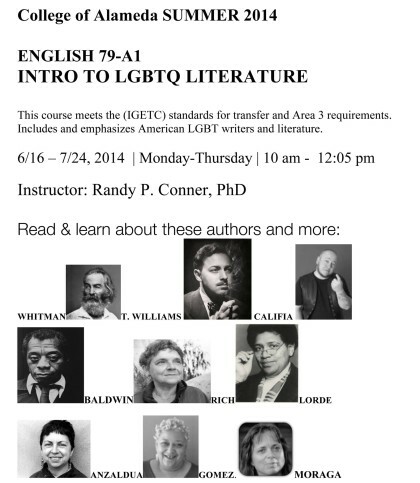 Starting June 16 for the 2014 Summer Session at the College of Alameda. See flyer for details.